Are you thinking of buying your first home in Kentucky? Would you like information on various programs, including free grant money, to help you purchase that first home? If you answered yes to these two questions, there is great news for you. 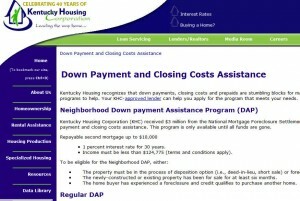 The state of Kentucky provides multiple programs for its residents who are first time home buyers and need help with the down payment and closing costs. This money comes in the form of state grants. This is free money that shouldn’t be passed up! The grant awards can be in the thousands of dollars. There are several programs available, as well as local programs throughout the state. It will be well worth your time to educate yourself about the programs that the State, Cities and Counties provide. 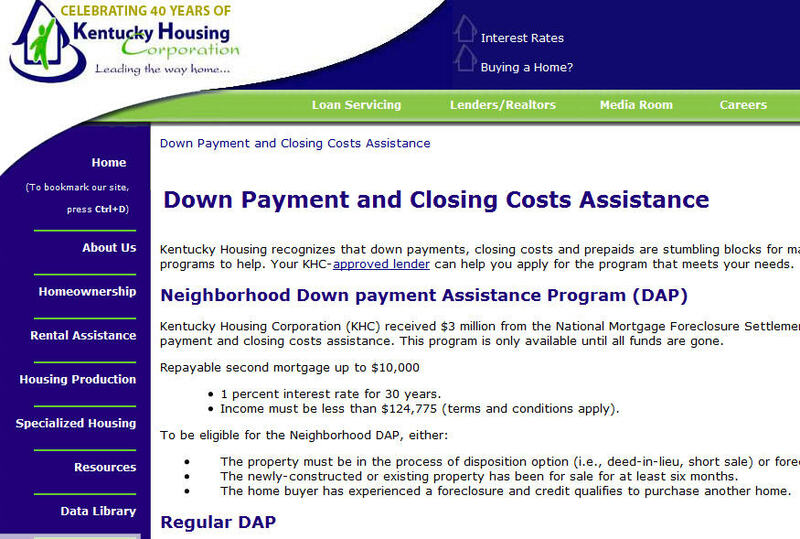 The agency in Kentucky that provides assistance is The Kentucky Housing Corporation. There are several programs available, depending upon your income. These programs are loans to help with the down payment and closing costs. Some of these loans are “forgiven” after five years, meaning the amount borrowed becomes a gift to you. 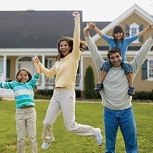 You can receive up to $10,000 in down payment and closing cost assistance depending upon which program you qualify for. To find out about these programs, please visit the Kentucky Housing Corporation website page specifically describing what is available. Simply go to this page. Kentucky Housing recognizes that down payments, closing costs and prepaids are stumbling blocks for many potential home buyers. 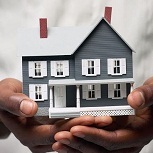 Here are several loan programs for home buyers to help. Your KHC-approved lender can help you apply for the program that meets your needs. In addition to the grant programs described above, the U.S. Department of Housing and Urban Development provides home buyer assistance and grants in every state. There are multiple grant programs designed specifically for people that meet certain requirements, such as grants for people with disabilities so they can continue to live independently at home. It is worth visiting HUD’s website to see what assistance is currently available. HANDS has a homeownership program for low to moderate income families. In this program HANDS builds houses in the city and county, which are sold for the appraised value. HANDS offers downpayment, closing cost, and principal reduction, when needed, in the form of a Forgivable Second Mortgage for the difference. For example, if the house appraises for $60,000 and the family can only qualify for a loan of $50,000 then HANDS can have a second mortgage for $10,000 plus legal fees. As long as the family is living in the house they never have to pay on the second mortgage. The department also oversees special projects that help implement the plan and goals of the City through grants administration under various federal and state programs. Examples of some of the programs are Community Development Block Grant (CDBG), Kentucky Housing Corporation HOME, KY Transportation Cabinet Transportation Efficiency Act for the 21st Century (TEA-21), Renaissance Kentucky and the Community Rivers and Streams program. 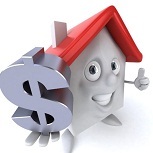 “Purchasing a home may be the greatest investment you will ever make! 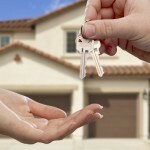 The home buying process involves many considerations and challenges that we can assist you with. The HOME program is the U.S. Department of Housing and Urban Development’s newest effort to develop affordable housing. The Lexington-Fayette Urban County Government uses its HOME funds to assist in the development of both affordable rental and owner-occupied projects. Through REACH, Lexington Habitat and Community Ventures Corporation, the Urban County Government provides non-repayable mortgage subsidies and 0 – 2% loans to lower-income first-time homebuyers. HOME funds are also used to financially assist non-profit groups in providing affordable rental and owner-occupied housing opportunities. “The city has not yet established dedicated ongoing public revenue for the Louisville Affordable Housing Trust Fund. How do I become a potential buyer for a city-built home? 2. Obtain your own financing from a bank or mortgage company. 4. Provide documents for proof of income and household status. This entry was posted in Down Payment Assistance, First Time Home Buyer Grants, First Time Home Buyer Info, First Time Home Buyer Programs and tagged Community Development Block Grant, HANDS Inc. Homeownership Program, Kentucky Housing Corporation. Bookmark the permalink.